Convergent Design Professional Video Records. Convergent Design, maker of the popular nanoFlash and Gemini 4:4:4 onboard recorders, last week shipped the first production units of their new flagship product, the Odyssey7Q, a full-featured 7.7” OLED monitor and professional video recorder. 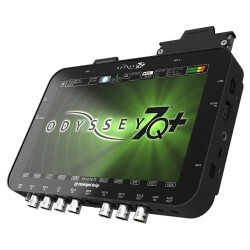 The Odyssey7Q is a no-compromise device at a revolutionary base price. 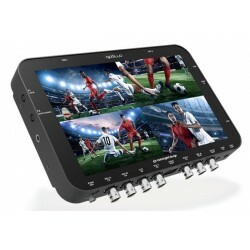 Convergent Design Apollo Portable Multichannel Monitor Recorder Switcher 10..
Convergent Design Odyssey7Q+ OLED Monitor Recorder 4K 100-10003-100 i..